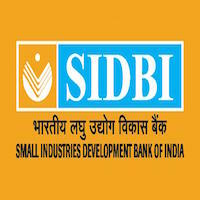 Online Application Details for Small Industries Development Bank of India SIDBI Recruitment of Managing Director is given below. Application form and duly attested documents are to be sent to Chief General Manager, Associate Institutions Cell, Small Industries Development Bank of India, MSME Development Centre, C-11, G-Block, 4 th Floor, Bandra- Kurla Complex, Bandra (E), Mumbai – 400 051. In envelope super scribed with 'Application for the Post of Post Name'.